Easidose is a prescribing aid addressing language and literacy barriers. 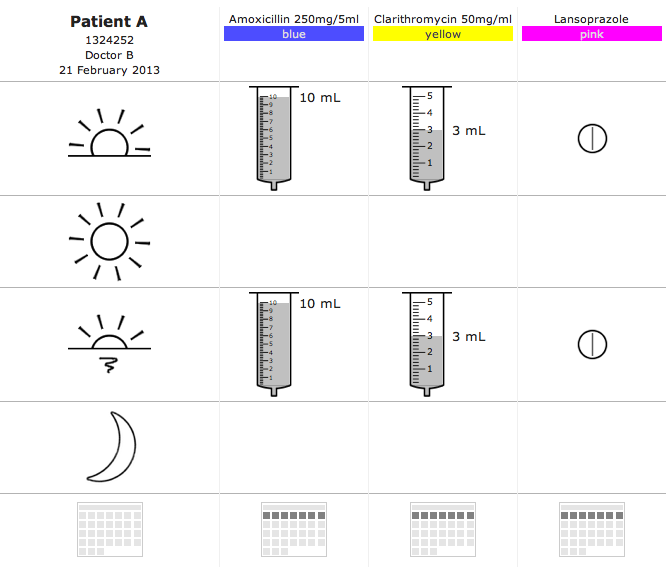 Easidose uses colour coding for medications, and picture based instructions for dose, frequency, duration and special conditions. Safe prescribing remains the responsibility of the clinician. Use medication only as directed by your physician.